E a Itália não para de nos brindar com ótimas novidades. Desta vez, o pop perfeito em formato sonhador do quinteto Hidden Hind. O debute acabou de sair do forno com trejeito de grudar na mente de quem o escutar. 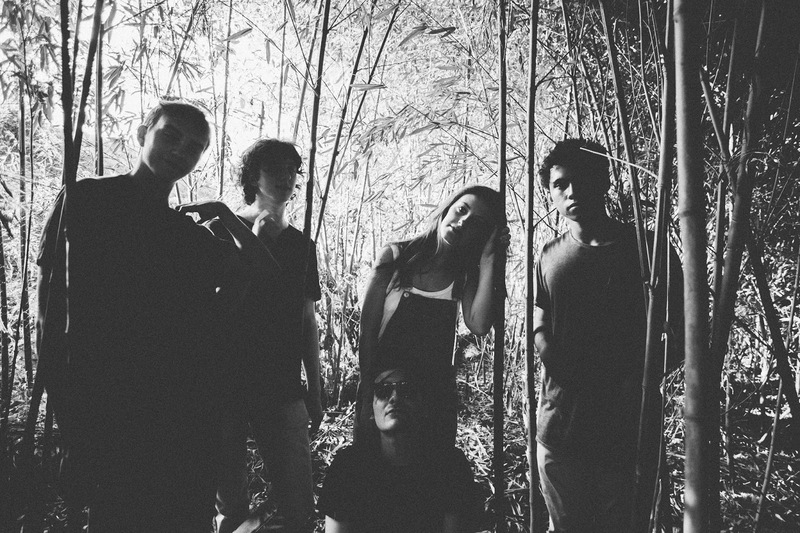 O EP homônimo é um deleite imerso entre o dreampop entre pinceladas de Mazzy Star, Magnapop e afins, melodias que remetem diretamente as clássicas college radio bands estadunidenses dos 90´s e aí me amigo, é aumentar e deixar em looping. Um brinde sonhador ao ano que se incia. 1. It was Gianluca, the drummer, who had the idea of creating a band, so he looked for someone who was on the same wavelength as him and he found Davide, guitarist and quite ingenious songwriter. Then came Alberto and Gabriele, and finally Alessandra (the band had decided that a female voice would have been the right choice). 2. One of our, in our opinion, greatest qualities is that we belong to extremely different musical backgrounds, so anyone of us can always bring something different from the other and new to the creation of our music and its sound. Being more accurate, we can say that everyone would agree to the fact that artists like Slowdive, Beach House, The National, St Vincent and Pavement were (and are) important to our production. 4. We actually don't have much experience in playing live; we've been playing together for a year and in public only two times at little private gigs (that, however, were great!). The first real shows will come with our first EP, in January. Q. How do you describe Hidden Hind sounds? 5. Hidden Hind sounds are 90s dreamy sounds rearranged for our days. It's simply shoegaze in a pop key, for now. But never say never, we change from day to day. 6. Bee Bee Sea, Ought, Speedy Ortiz, Julia Holter, and Tight Eye for sure. 7. We're still looking for the perfect cover... We have something on our bag of tricks, but it's not the right thing yet. We'd like to find something very special and quite far from our usual style. Q: What are your lans for the future? 8. The future seems bright by now: the release of our self-titled EP, recorded at T.U.P. Studio and mastered at Mystery Room Mastering, is set for January through Sherpa Records. Then, we hope to play live asap! 9. Nothing (else) to declare!